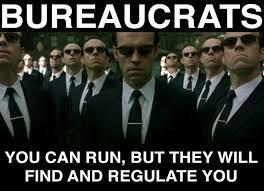 In the world of government bureaucrats there are many people who are great pretenders. I will go further and call them fake. They have the position because they are politically connected to someone who pulled strings to get them in. They mess up time and time and again and still higher management either cannot or do not attempt to remove them from their position. They just don’t want to piss off the puppet master who pulled the strings that got the incompetent person the position that they are in. Then you have those who cannot perform. For some reason they get other workers to do their work. Those that do the work for others, plus their own work and get only one pay check must be pretending that they are not being suckered. Then the obnoxious ones who think that they have the power of life and death because they are the deciding factor whether to grant someone from the public thousands of dollars or make a decision that will put great stress on people’s lives. The incompetent, the lazy and the obnoxious can be dangerous people. The will tell lies, and create disorder and serve someone’s head on a silver platter. Not to mention being back stabbing and undependable. They fear being removed from their position and will do anything. Makes them game for some things; makes them victims for other things; and they will make game and make victims out of others who do not know their modus operandi. These are some of the type of people running the government agencies. Do you have confidence in them? Scary isn’t it.